This Yorkshire Terrier - Yorkie nicknamed Summer sold and went to a new family. 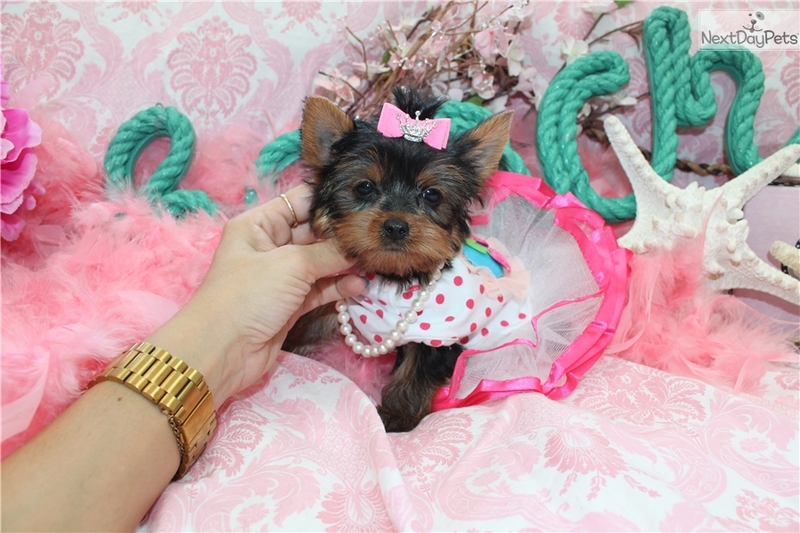 YORKIEBABIES.COM 954-324-0149 "SUMMER" BEAUTIFUL LITTLE FEMALE TEACUP YORKIE. FULL OF CHARM AND POISE. HAPPY SPUNKY PERSONALITY. FULL OF LOTS OF KISSES. SHE LIKES TO BE WITH YOU. SHE LIKES TO CUDDLE WITH YOU. BABY FACE, SHORT AND COMPACT BODY. DARLING LITTLE GIRL. 954-324-0149. WE FINANCE.